Just like me, it is likely that your struggle with depression can also turned into a struggle with your weight. In addition to trying to fill void with foods that you like, it will also become too depressing for you to exercise. My doctor prescribed antidepressants and mood stabilizers, which gave me the energy to start a new running routine, but the new prescriptions made me gain weight again faster than before. I knew I had to break this vicious circle but, how? 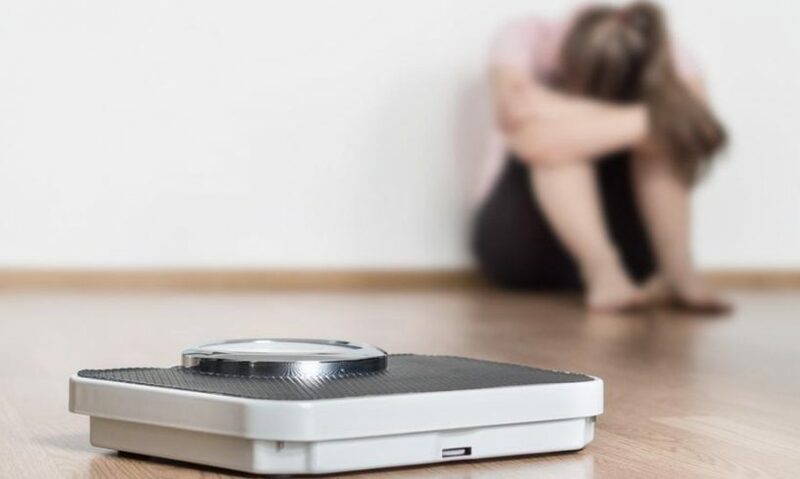 Much of the weight gain approach to depression centered around physical changes: talk to your doctor about a new antidepressant, follow that new diet plan, take this new diabetes pill, try this new training. But these did not get to the heart of the problem of how to lose weight. What I found, however, was that overcoming my body image problems (and subsequently making healthier choices) had to start from the inside. Then I put my counseling classes to work for my most important client i.e. ME. Many people who struggle with losing weight establish the rewards for themselves. “When I lose ten kilos, I’m going to reward myself with a new dress” If that works for you, fine. However, in my case it was unsuccessful. No matter how much I went hungry or struggled on my indoor exercise bike, I could not make the scales reflect my hard work. I started doing less healthy things to try to get the results I was looking for, but those were dangerous and unsustainable in the long term. While I was doing all of this, I was also learning about behavioral therapies in my counseling classes. We learned that we need to help our clients reward themselves for their small scale behaviors, not for their long-term results. Clients may feel desperate for big goals that can be influenced by opportunities: getting their children back, finding a job, staying sober for a year, etc. By rewarding smaller actions such as updating your resume or going to a parenting class, you are more likely to feel in control of your results. You are also more likely to continue taking the small steps that will take you to your final goal. Mastering how to lose weight is no different. Many factors can influence the weight, and hard work is not always shown in the balance. Knowing how to lose weight means making behavior immediately rewarded. Exercise can help or even cure depression occasionally. Even if you do not lose weight, exercise can make you feel much better about your body. But when you’re too depressed to get off the couch, those rewards are intangible to motivate anyone. Instead, I found ways to make exercise fun, social, and easy. I downloaded some applications that made me happy and excited to exercise. When I felt that each training was an adventure and had my friends talking to me, I found myself being more encouraged to put on my running shoes. I took it one step further and recruited my friends and family to exercise with me. Now, even though I live far away from everyone I know, we are connected thanks to our exercise routine. My family and I also cook some recipes together, during vacations and evenings as well. Finding ways to exercise consistently and eat calories rich in nutrients made a big difference in my life. Not only because movement can be a great medicine for depression, but because exercise is also associated with a better body image, even without any weight loss. While new antidepressants and diets can help, I believe that changing how we see goals is a good way to improve mental health, even if you are sick with depression.